Bring on the sunshine and *lots* of rum. Winter in New York: a time dominated by flurries and slush, bitter cold, and next to no sunlight. What if we told you we knew of a destination, only four hours away (aka less time than it takes to take the L during a delay) from NYC, that was the cure for all the aforementioned doldrums that this season brings? 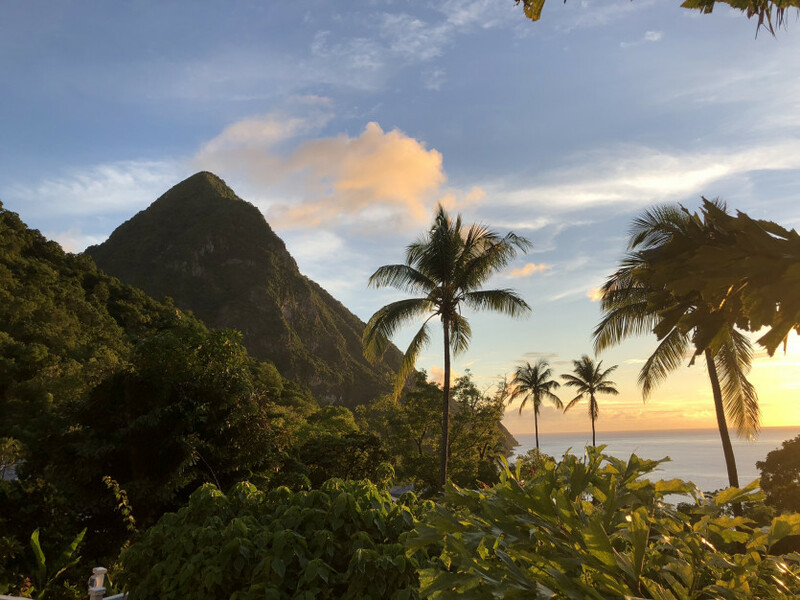 Enter: St. Lucia, a tropical paradise boasting lush greenery, the world-famous Piton Mountains and Piton beer (wink, wink), unlimited sandy beaches, and copious amounts of the island’s signature drink: rum. Herein are our favorite places to eat, drink, stay, and explore. You may even spontaneously buy that ticket today… Don’t say we didn’t warn you! 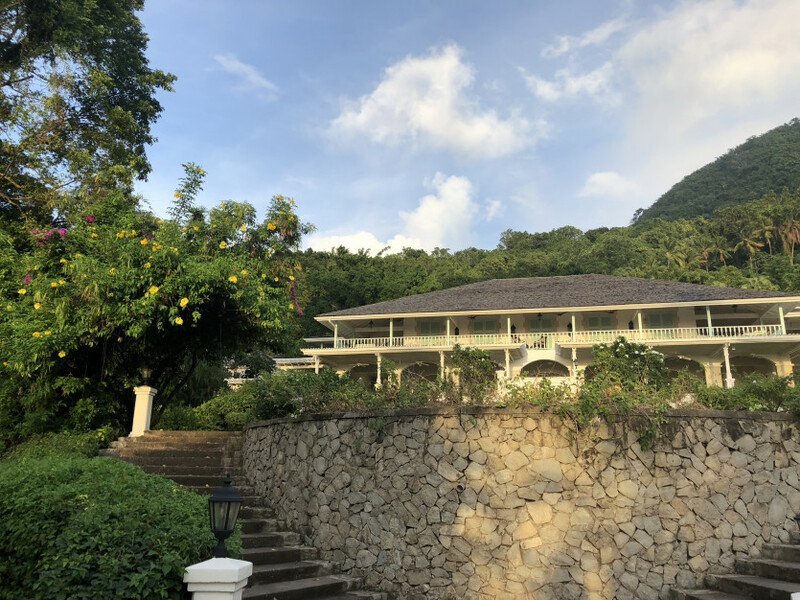 Set on 100 acres of rainforest, this exclusive property has only 96 rooms—each being an individual villa with a private pool and secluded deck. The room’s finishing is a refreshing all-white—allowing the colors of the island to really shine. Set up into the hills, the views are truly epic, especially if you are lucky enough to be in a room overlooking the ocean: *hello*, gorgeous sunsets! For ultimate relaxation, head down to the white sand beach and sip on a piña colada while gazing at the turquoise water, or indulge at the Rainforest Spa. (For a truly special experience with your significant other, book the “Romantic Renaissance” package—a couple’s massage, private lunch—with wine!—and alone time in an outdoor hot tub! You’ll leave feeling really refreshed and reinvigorated.) 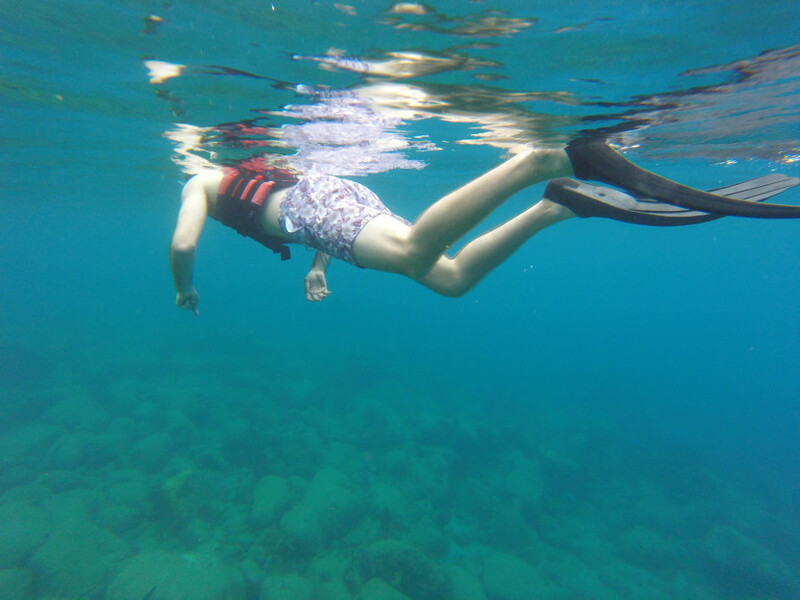 For a more adventurous afternoon, enjoy the complimentary kayaking, paddle boarding, and snorkeling, or a game of tennis overlooking the Pitons. There is nothing better than eating freshly caught sashimi while sipping on an ice-cold cocktail provided by the bar’s professional “rummelier.” (How do we get this job? Sign us up!) Don’t miss the unagi eel bowl with fresh avocado or the spicy tuna over crispy rice. Sugar Beach’s fine-dining restaurant is a special experience—just make sure you are extremely hungry when you sit down! From the beautiful views (make sure to get a seat on the balcony!) to the outstanding service and incredible food, you won’t want the meal to end. (Which it eventually does, but not before a final plate of sweet treats like homemade caramels!) We recommend ordering the lobster if in season—there is *nothing*more decadent. Known as one of the best restaurants on the island, Dasheene lived up to our expectations. 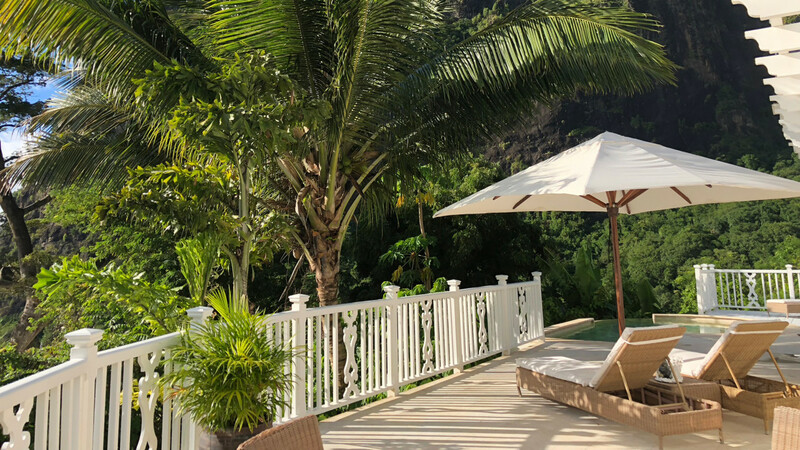 Located at the Ladera Hotel with an unforgettable view of the valley between the Pitons, the overall experience is not one to be missed. Be sure to get there early and have a drink at the bar before you sit down to dinner so you can really take in the view as the sun goes down. We recommend a grapefruit martini—deliciously tart and made with fresh local grapefruit. Make sure to not miss the passed bread—which includes COCOA bread. Yes, we repeat—bread made with the famous local cocoa. You can’t go wrong with any of the local fish on the menu, and be sure to leave room for dessert—our personal favorite is the Passionfruit Mousse Cake (another local favorite flavor)! For a truly authentic local experience, head to Marie’s for a spread of creole cuisine—rice, fish, and plantains! We were taken here after we signed up for a local boat tour (which brought us to the sulphur springs, mineral waterfall, town of Soufrière for shopping, and to Marie’s for lunch). Overall a great way to experience the St. Lucia culture, guided by a local Soufrière native. There is nothing better than lying underneath a thatched umbrella while staring out at the ocean. 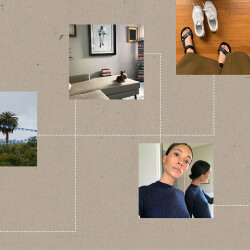 After all—you’ll need some good photos for the ’gram to become the envy of all your friends. All beaches on St. Lucia are public (be warned, you will be charged to rent a chair from a hotel if you aren’t a guest, but you can bring your own towel and arrange transportation by boat—typically through the hotel you are staying at—in order to explore more). One to not miss—Anse Chastanet Beach, where the famous Jade Mountain hotel is located. Don’t worry—the sand is supposed to be black from all of the volcanic ash from past eruptions. If you are staying at Sugar Beach, this is complimentary, but there are also separate excursions you can take, which we jumped on in order to see coral, dolphins, and loads of fish—it did not disappoint! We set ours up through the hotel, which is what we’d recommend to do at the specific place you are staying. All of the hotels have incredible local staff who have suggestions of the best places to see the most wildlife! The mud from this ancient (dormant) volcano is known to help heal sunburns, eczema, arthritis, sore joints, and more. First take a dip in the mud bath, and then grab a handful of the magical mud and watch as you look years younger (according to the locals!). Tip: Go early and beat the crowds. For the best views on the island, hike the World Heritage Site, the Gros Piton. With a total time of ~four hours, this is *not* a walk in the park but totally worth it for the insane views. Be prepared with good sneakers, a hat to shield sun, and plenty of water. We also brought some snacks along, including a banana and granola bar (which were quickly eaten after we realized how strenuous this was going to be!). There are a few times you are going straight up—using your hands and feet—but if you so choose, you can rent a walking stick at the bottom of the mountain before you enter. Made by locals in the town of Fond Gens Libre, the money goes back towards supporting their community, where all of the Gros Piton hike guides are from.